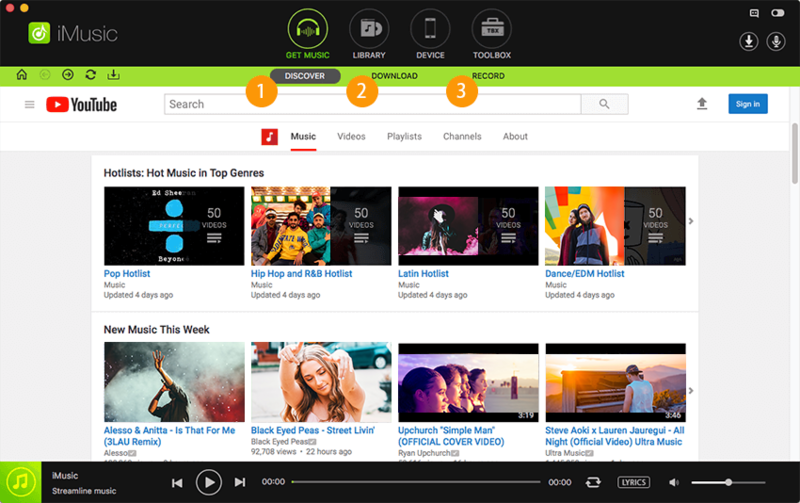 "GET MUSIC": 3 options are offered to help you discover and get music: 1)- search for music in the embedded YouTube pages; 2)- copy and paste the URL of a song to download it; 3)- record any song you’re playing on your computer. 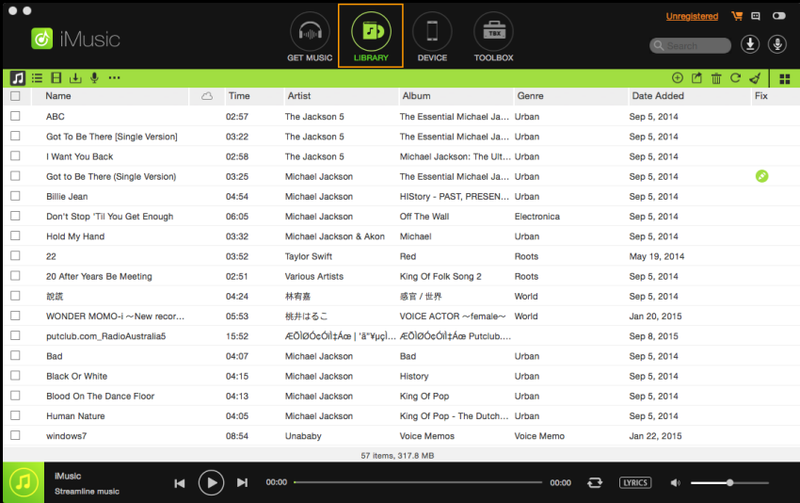 "DEVICE": where all songs and playlists on your device(s) connected to computer are displayed. 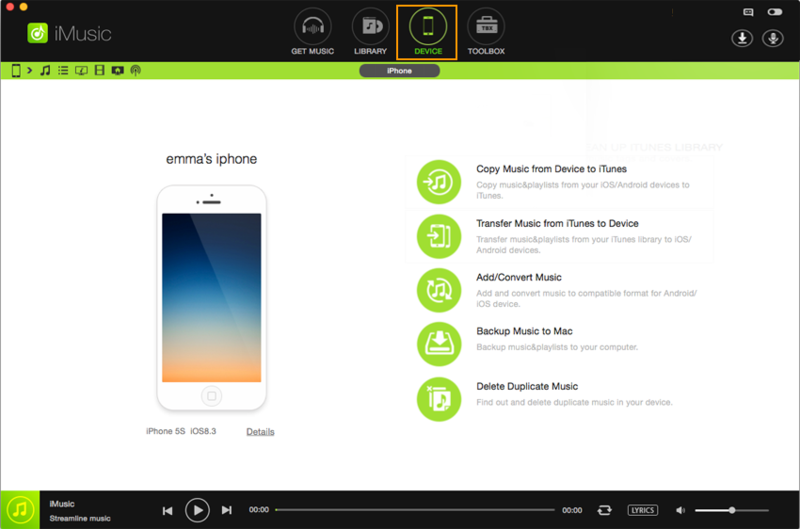 You can import/export music to/from iPhone, iPod, iPad and Android phones. 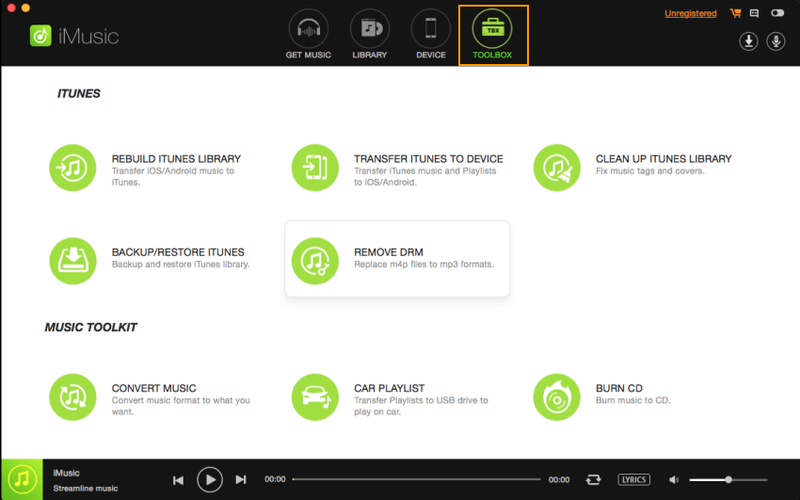 "TOOLBOX": quick access to more specific features and where you can burn music from iTunes library to CDs, replace DRM-protected songs with DRM-free MP3 tracks. 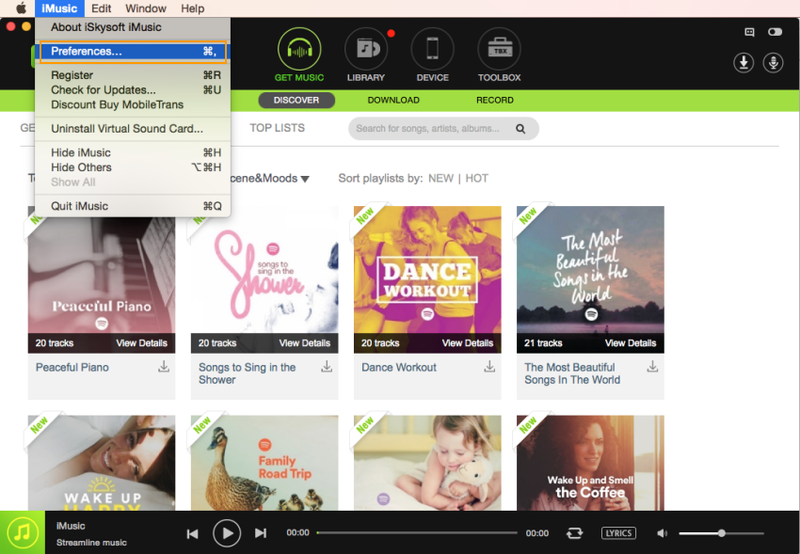 Music Player: it is at the bottom of the main interface. 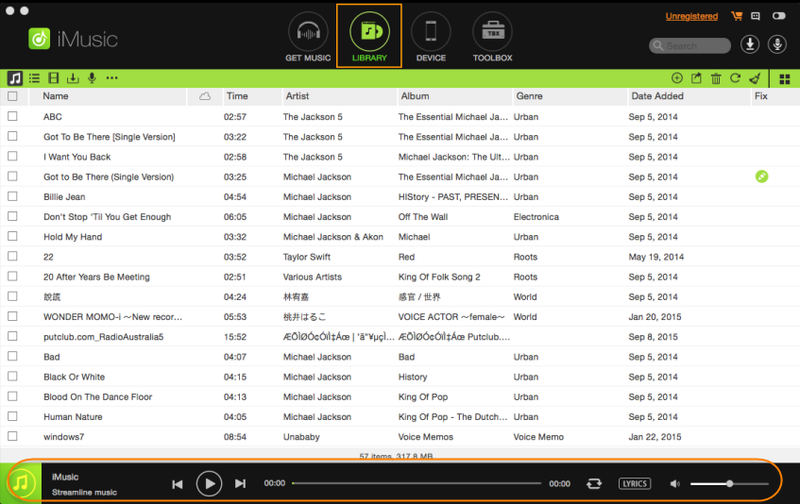 You can play or stop the current song, set up the play mode, show lyrics or not.